As the crisp fall breeze fills the air, it is time to focus on projects inside the home. 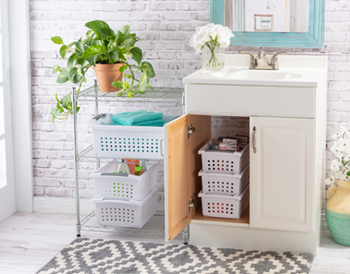 With Sterilite's line of Stacking Baskets you can break through the chaos, conquer the piles of clutter, all while taking advantage of unused vertical space. With soccer season in full swing, have you started to smell that lovely fall sports scent around the house? 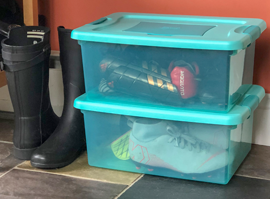 Check out our blog to see how our Fresh Scent Boxes can help combat the smell of soccer equipment this fall. The whole household will thank you! ©2018 Sterilite Corporation | PO Box 8001, Townsend, MA 01469 - All rights reserved.